Delivers essential nutrients for optimal hair growth as well as returns the hair to its normal stage of health and vibrancy. It feeds the follicles and also helps remove obstacles that impede hair from being its healthiest. 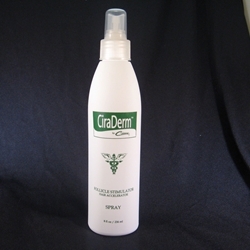 This product is designed to be used in conjunction with a complete CiraDerm program.